Every movie needs an audience and this one is no exception. For an independent film, fan interest or lack of it can mean the difference between getting the funding and distribution needed to make the movie or not. But because this is an independent film, I won’t have the large budget that the studios have to advertise and find an audience. So I’m looking for help from you. 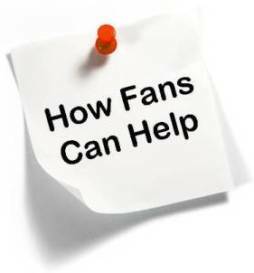 Fan support is crucial to the success of this project. Do you want to support getting the I-Man cast together again, but not sure how? Then read on for some suggestions of free and easy things you can do to help make this project a success. Do you have a friend that is a fan of The Invisible Man or its cast? Do you know someone who enjoys quality TV and movies? Tell them about this project and website! And tell them to tell their friends. Spread the word! Do you visit any online bulletin boards? As long as it doesn’t violate the board’s rules or policies, how about posting a blurb about this exciting project? And don’t forget to include a link to this website. They help drive visitors to this site. They help increase our search engine rankings. Once you have a link up, please contact me via the Contact Form or leave a comment and let me know that you’ve linked to this site. Don’t forget to include a link to your website or blog. I’ll then add your website or blog to our Friends & Supporters list with a reciprocal link. Let’s make that list grow! Shoom Zone Productions has a Facebook page! Please take a moment to “Like” the page and suggest it to friends. Also, every blog post now has a Facebook “Like” button. Hit it if you like the post and help spread the word! Shoom Zone tweets! To follow my tweets go to my Twitter page and hit the “Follow” button. In addition, each blog post has a Tweet button that you can hit to tweet about the post! Do you have a MySpace page? So does Shoom Zone Productions! Please add Shoom Zone Productions MySpace page to your friends list and share the profile with your friends. Those are just a few things that you can do right now to help out. This list is by no means comprehensive, so if anybody has any ideas that I can add to this list, please let me know.